In our first ever Spoilercast episode, Tristan, Bonk, and Eric all huddle ’round the campfire to discuss the most hip-happenin’ cartoon on TV, Gravity Falls. Somewhere within all the talk of fan-fics, waifus, and sound effects is an in-depth discussion of our thoughts on the show so far. 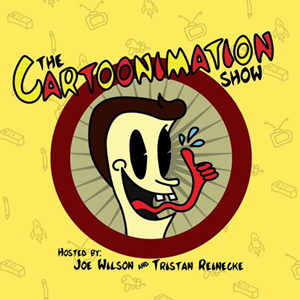 In this episode, Bonk, Shnazzy, Silver Mech and Actual Listener Mike join us to chat about the most amazing cartoons based on celebrities ever made. A few shows we discuss are The Secret Millionaires Club, Camp Candy, Hammerman, and Chuck Norris Karate Kommandos starring Chuck Norris as Chuck Norris in Chuck Norris Karate Kommandos. In this episode, Bonk, Shnazzy, and actual listener Mike join us to discuss anime, weird ways of saying basic words, and weird censorship laws in other countries. Oh, and animated neighbors is in there too I guess.